Should be blessed the used cds’ shops, Ebay and those who sell their discoteques because thanks to them every fan has the opportunity to integrate and recover cds which he has maybe only heard about and whose circulation is very minimal. 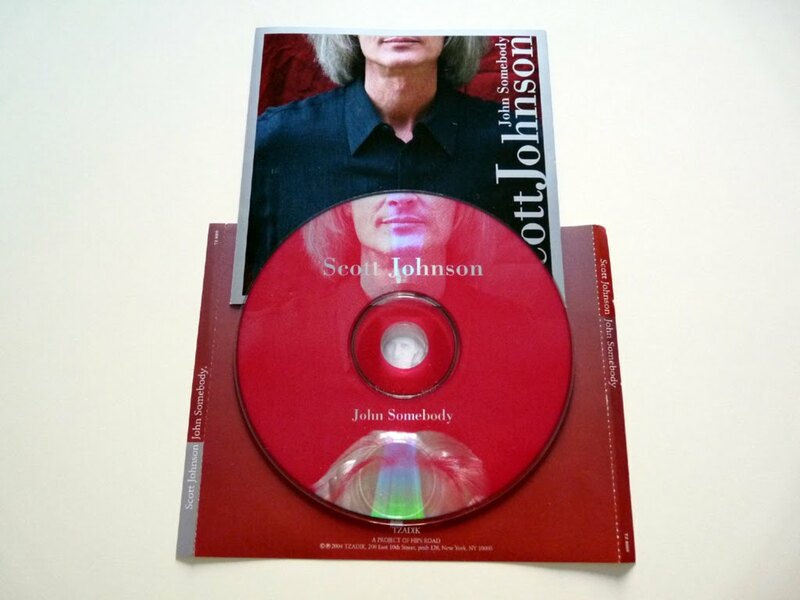 This is the case of this beautiful “John Somebody” reprinted in 2004 by the praiseworthy Tzadik by John Zorn, originally released on vinyl by Nonesuch in 1986 by then twenty-four years old Scott Johnson. This is a guitar’s record built with techniques used by minimalism, with continual references to the first Steve Reich, and its manipulation of phrases stolen from real life, with particular reference to “Come Out” and “It’s Gonna Rain.” The difference, compared the minimalists is that Scott Johnson was then a young composer grew up immersed in rock’s culture and electric guitar, since then developing an academic interest also for the techniques of composition typical of the avant-garde music of that period: like Rhys Chatham and Glenn Branca the guitar here is not a one more element to be added retrospectively but an intrinsic component of DNA of this young composer born in 1952 in Madison, Wisconsin and then transplanted to New York. You know who’s in New York? You remember that guy… J-John somebody? The starting point of the composition of “John Somebody” (divided into eight segments) is made up by short lengths of tape containing fragments of voices stolen to real life, elaborated with the loop’s technique and manipulated to form a rhythmic base on which starts the work of layered electric guitars (played by the same Scott Johnson) and wind instruments played by Lenny Pickett that are the essential complement along with percussion by Bill Ruyle. Actualy the work of Johnson is even more complex, because the stolen voices’ fragments are used not only for rhythmic loop process but also for the melodic/timbre that evokes these hammered phrases. It’s a kind of meta-linguistic symbiosis, with guitars and wind instruments aimed at emulating the subtleties of the manipulated human vocals subsequently amplifying the effects with the difference that here the guitars (that here sounds similar to those of the monumental Discipline by King Crimson) are played with all the imagery of rock, with his riffs, his phrases, his distorted timbre, his amplifers. The piece ‘No Memory’ is more rigorous from a compositional point of view but at the same time and is not equally revolutionary precisely because it comes off less from what other artists of the minimalist school were doing during those years. Here the loops are more rarefied and the overlaid instrumentation consists of electric and bass guitars played by Johnson, without other help. The same process technology is used in the song “U79” which did not appear in the original version of the album and that was added as an interesting bonus from the current record label. We have here an even more percussive and mysterious dimention, as if the starting language had become a frogs croaking on a summer evening. A really interesting and innovative records, I suggest listening to it reading the fine essay by Scott Johnson called The Counterpoint Of Species, published in the book “Arcana Musicians on Music” edited by John Zorn.